Selective control of troublesome weeds is possible with the proper products and application timing. Grass weeds and sedges in lawns are the most problematic weeds to control. Annual grasses like crabgrass, goosegrass and doveweed, and perennials like dallisgrass, kyllinga and purple and yellow nutsedge, can be removed with a program that includes Barricade® 4FL herbicide, Pennant Magnum® herbicide, Manuscript® herbicide and Monument® 75WG herbicide. Left: crabgrass. Right: dallisgrass. Source: John D. Byrd, Mississippi State University, Bugwood.org. Crabgrass and other annual grasses are best controlled by pre-emergence applications of Barricade 4FL. Making Barricade 4FL applications between January and February, followed by a repeat application in six to eight weeks, can help provide season-long control. If early applications are missed, a combination of Barricade 4FL and Monument will help control small-tillered crabgrass. Larger crabgrass plants can be controlled with Manuscript. The addition of Pennant Magnum to your herbicide program will control goosegrass, doveweed, yellow nutsedge and annual sedges. Doveweed is an annual weed that germinates later in the season than crabgrass. Adding Pennant Magnum to the last Barricade application, followed by a repeat application four to six weeks later, will selectively control doveweed. Monument is a versatile herbicide for use in warm-season turf lawns. Besides providing outstanding sedge control, Monument will also control perennial dallisgrass. 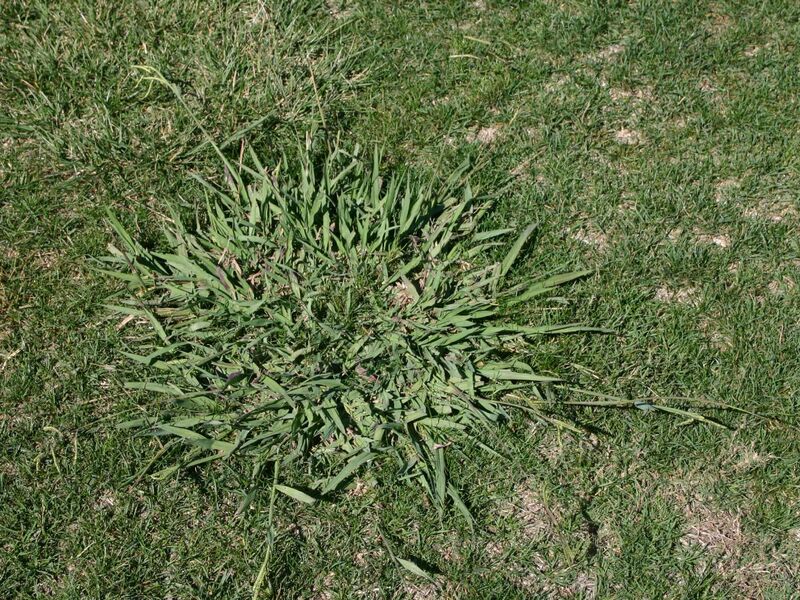 The best timing for treating dallisgrass is late summer, with a follow-up application in the spring if any regrowth appears. Dallisgrass has such extensive rhizome development that multiple applications are needed for maximum efficacy. When servicing lawns that have not been treated with a pre-emergence herbicide or for areas of weed escapes, Manuscript can be used to control large, multi-tiller crabgrass. Make two Manuscript applications on a 14- to 21-day interval. Other grass weeds like bahiagrass, bull paspallum and tropical signalgrass can also be controlled with Manuscript. Between January and March, apply 24 oz./A of Barricade 4FL, or at 0.75 lb. a.i./A on a fertilizer carrier. Six to eight weeks later, reapply 24 oz./A of Barricade 4FL and 21 oz./A of Pennant Magnum. 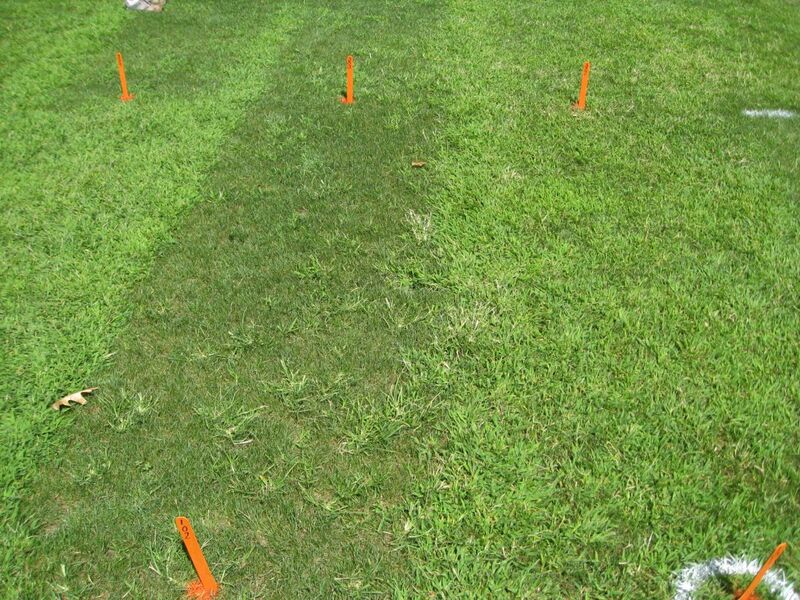 A Barricade program with Pennant Magnum will control annual sedges and doveweed. If early applications of pre-emergence are missed, apply 24 oz./A of Barricade 4FL and 10-15 g/A of Monument on small-tillered plants. Repeat the application in six to eight weeks. Apply 21 oz./A of Pennant Magnum and 10-15 g/A of Monument for control of doveweed, kyllinga and purple nutsedge (and other sedge species). Apply 10-15 g/A of Monument for sedges. Apply 9.6 oz./10,000 sq. ft. of Manuscript for large, tillering crabgrass. Repeat in 14 to 21 days. Apply 15 g/A of Monument, or a spot treatment rate, four to six weeks apart. Make another application if there is regrowth in the spring. For more information about controlling weeds on your hit list, download our Most Wanted Weeds information sheet or view information about the Barricade guarantee program. You can also download the GreenCast® Turf App to help streamline application and record-keeping processes. ©2019 Syngenta. Important: Always read and follow label instructions. Some products may not be registered for sale or use in all states or counties and/or may have state-specific use requirements. Please check with your local extension service to ensure registration and proper use. Barricade®, GreenCast®, Manuscript®, Monument®, Pennant Magnum® and the Syngenta logo are trademarks of a Syngenta Group Company.